Miss Atlantic County Lindsey Petrosh, 23, of Egg Harbor City, is crowned Miss New Jersey on Saturday at the Ocean City Music Pier. 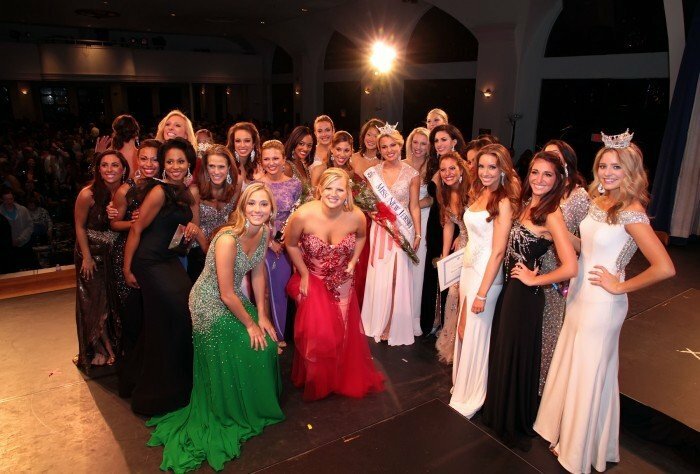 Miss New Jersey contestants surround the winner, Lindsey Petrosh, 23, of Egg Harbor City, after the pageant Saturday at the Ocean City Music Pier. Lindsey Petrosh, 23, of Egg Harbor City, sings "The Battle Hymn of the Republic" during the talent competition Saturday at the Ocean City Music Pier. Lindsey Petrosh, 23, of Egg Harbor City, competes in the swimwear competition Saturday during the Miss New Jersey Pageant at the Ocean City Music Pier. OCEAN CITY — An Egg Harbor City woman woman beat out 24 other contestants Saturday night to become the new Miss New Jersey. Lindsey Petrosh, 23, a graduate student at Rowan University, was Miss Atlantic County for the second time. She also won her county pageant in 2010. Petrosh, a 2007 graduate of Saint Joseph High School in Hammonton, sang a rousing version of “The Battle Hymn of the Republic” in the talent competition. Her platform was support of volunteerism. 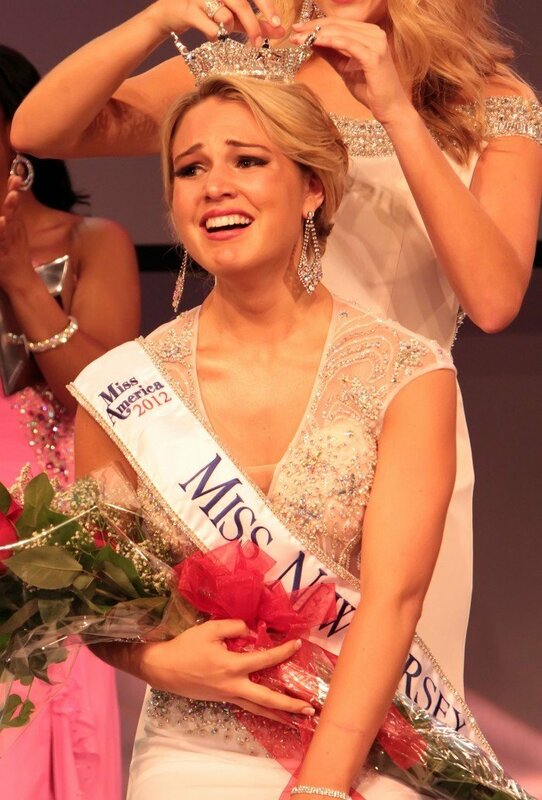 For her victory, she won a $10,000 scholarship and the chance to represent New Jersey in January at the Miss America Pageant. Petrosh received a standing ovation from the crowd of 900 at the Ocean City Music Pier and was obviously a popular choice. She also won the Miss Photogenic award in the pageant, and was still tearful after the Music Pier cleared out and she was having pictures taken on the stage with a long string of family, friends and supporters. The first runner-up is also from Atlantic County, but Kaitlyn Schoeffel, 19, of Egg Harbor Township, won the Miss Avalon Pageant to get to Miss New Jersey. All of the top five finalists were either from South Jersey or had local connections. The second runner-up, Courtney Charatsaris, is from Totowa, Passaic County, but was Miss Cape Shores, and third runner-up Venessa Baez, of Bloomfield, Essex County, won Atlantic City’s Miss Columbus Day Pageant. The fourth runner-up was Miss Seashore Line Angelica Nardi, 22, of Millville. Other local women also were among the top 10 finalists. Cierra Kaler-Jones, 19, of Galloway Township, was in Miss New Jersey as Miss Northern Lakes; Anna Negron, a 21-year-old Vineland resident, was Miss Coastal Shore; and Miss Gloucester County Lindsey Giannini, 18, is a Hammonton native. The other finalists included Miss Bergen County Krysten Moore and Miss Gateway Ellen Chu.